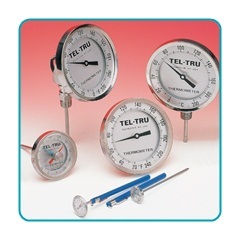 Tel-Tru Manufacturing Company is a World-Class manufacturer of bimetal thermometers, pressure gauges, and transmitters. TEL-TRU's focus has always been to meet customers' requirements with quality products, leading technology and responsive service. TEL-TRU's products are available through a network of distributors, in the United States and around the world.